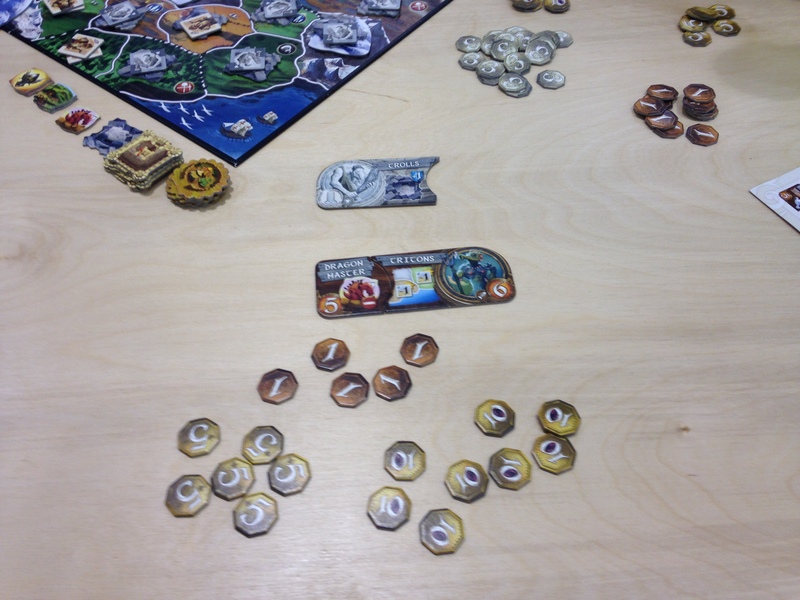 We’d heard about this game and had the opportunity to try it out at a convention. 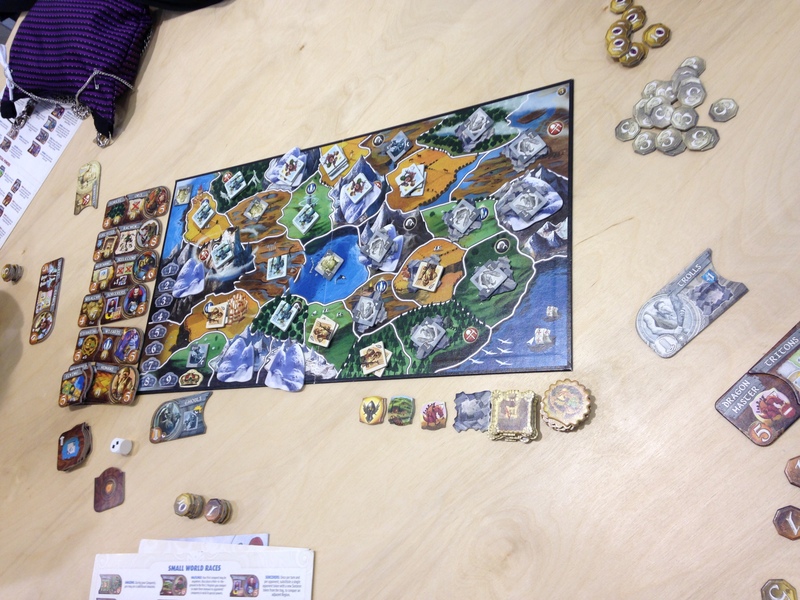 Small World is a strategy game that might be more approachable than Risk. 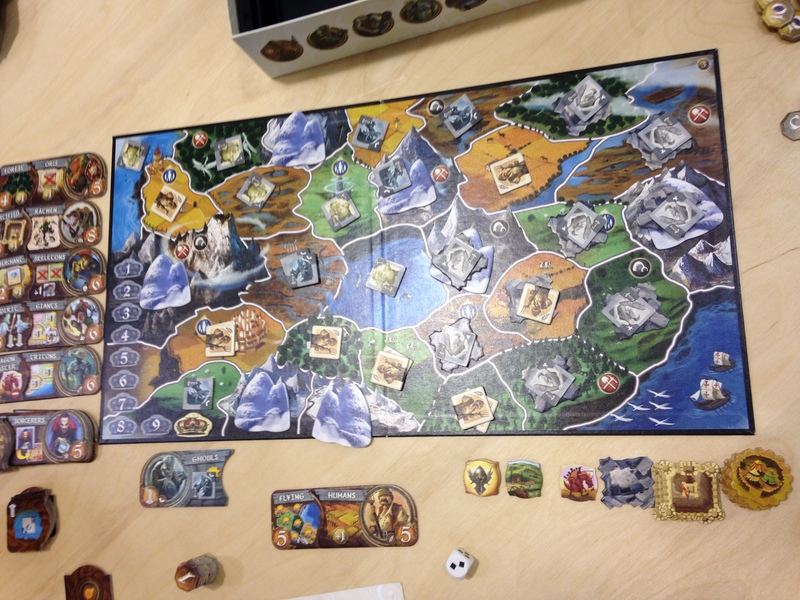 Game play is similar to Risk, but not as much relies on the rolling of dice. For the most part, you just use your strength to steal land from other players. In the beginning of the game, we played pretty nice. We mostly tried to stay away from each other, but it is called Small World for a reason. It didn’t take long before we started attacking each other and taking over land. For the most part I tried to avoid Space Cat because her vengeance was swift. If you took a piece of land from her, she’d probably take two from you. Professor wouldn’t return an attack unless he felt it would benefit him to take that piece of land, so I mostly focused on taking from him. It also didn’t take long for our first races to go into decline, followed by our second races. I managed to hold onto sufficient land for long enough that I had a quite a bit of money stashed away. The game suggests trying to keep your money secret, so I just made sure all my tens were on the bottom of my stacks. Game play will heavily depend on how aggressive players want to be. I also think the fact that you get to choose new races instead of just being kicked out of the game gives it more appeal than Risk. It’s also fun to be able to try out new combinations during a single game.